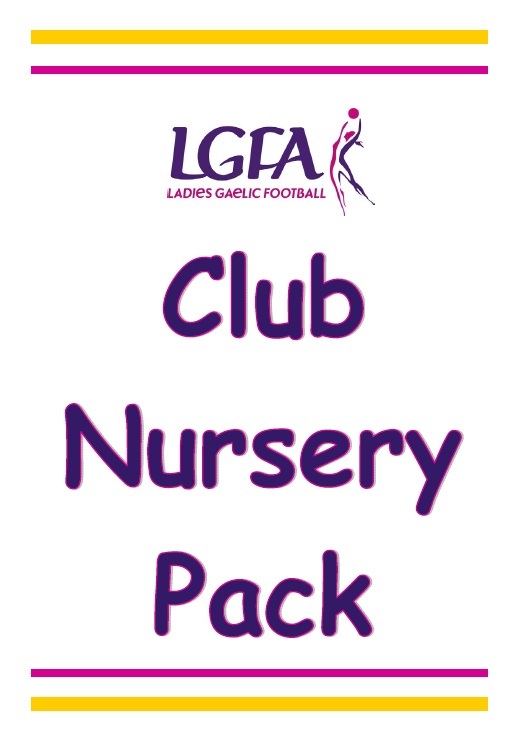 The club nursery is the foundation of the juvenile section of your club. There are numerous activities available throughout the county for children to participate in so it is important to give girls the opportunity to participate in Ladies Gaelic football from an early age. The main aim of a nursery is introduce children aged 4 – 9 years of age to Gaelic Football in a fun, safe and relaxed environment. The ethos of the nursery is ‘to learn skills while having fun.’ The below resource will provide you with an introduction to setting up a nursery and the structures needed. The resource also provides details on how to attract new volunteers and roles that these people can help you with in the club. The booklet provides sample activities your coaches can use for this age group that you can laminate to help new volunteers become involved. It is important that your club is dynamic and open to new members and the nursery can help you do this by encouraging new members from a young age to become involved. We hope that you find this resource useful and look forward to hearing from the successful nurseries around the county. Who knows!! Some of your young players could be the future All Stars!